It’s bad enough that your event producers couldn’t actually produce an event — the so-called Model X Launch Event. Starting a 7:00pm event at 8:50pm is simply unacceptable, particularly when the invited guests are actually your customers! But for you to stand up at 8:52pm and not even acknowledge that you have wasted your own customers’ time was insensitive and poor judgement. You should have apologized right then, but you didn’t. You have our email addresses, since we’re all the people who put a $5,000 deposit on your new Model X. When I was invited to the launch event, I was excited to hear that I could drive to the factory and see and touch a new Model X, even if I’ll have to wait another 3–4 months to actually get mine. Instead, I drove 2.5 hours round trip. I arrived on time, waited around 30 minutes outside the building, got packed inside the building with ~3,000 other people for another 60 minutes, got moved from one room inside the building to another to wait another 20 minutes with the same 3,000 people. And then, drum roll please, you shuffle out on stage and start with a slide show — an amateur slide show at that — all about how safe the Model X is. Yup, you lead with safety, like that’s why we’re all spending $130,000 or more on this car! So, at 9:00pm, two hours after arriving mostly just to see a Model X up close, I left. I was angry. (Not to mention I was hungry, since you didn’t even provide real food during dinner time!) I feel like I was mislead and mistreated. I had been handed a badge that would let me test drive the model, but my badge number was 1,344. If you started the event one hour and 22 minutes late, I could only imagine that having 1,343 people in front of me to test drive a Model X would have kept me there until, I don’t know, 2:00 AM. I made a tactical decision to give up early without ever actually seeing a Model X. Now I’m wondering. Should I be proud and boastful of being a Model X customer (as I have already been; here’s my first tweet after ordering my Model X)? Should I wonder if there are other problems in managing Tesla as a company? Is this a marketing failure or do you treat your customers like this after they get their car? 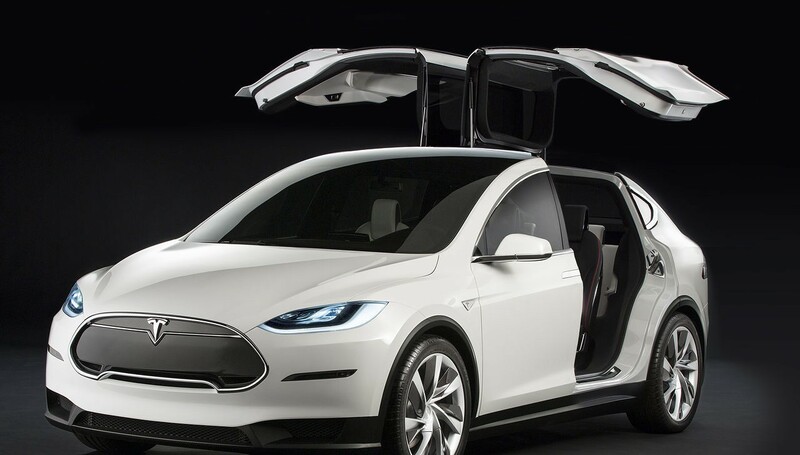 I never did see the Model X. I still really want one. Its doors open like this! It’s a computer, disguised as a beautiful car, just like I want. It probably won’t matter that you screwed up this event completely. It would still be nice if you showed some class and apologized to the people who believe in this product.